When styling any room, it’s important to first of all take the time to think about what the room is for and how you want it to feel. This might seem obvious for a bedroom, but when styling a bedroom, there can be more than meets the eye. Obviously, a bedroom is for sleeping, however, some of us use a bedroom for other purposes such as TV watching or work. If this is you, you need to think about that and incorporate those features into the room. It’s my belief that a master bedroom should be a sanctuary. I like to keep all electronics out of the room, and I like it to feel like a warm luxurious space to retreat to at the end of the day. With any room, firstly we need to identify the focal point of the room. In the bedroom, this is the bed. We need to figure out what size bed we are going to use in the bedroom. For a master bedroom, this would generally be either queen or a king size. You need to assess and consider the space of the room. Don’t put in a king size bed if you’re only going to be able to fit two tiny bedside tables squashed up against the walls. This will have the effect of making the room feel smaller and that the bed is swallowing the room. If the room is big enough, definitely, put a king size in. Otherwise, go for a queen. Once you have decided what size bed to use, the next decision is where to place your focal point, which is your bed. In your master bedroom this might be obvious. In some bedrooms, however, it may not be so clear cut. When entering a room, we want to be able to see the focal point. It needs to be visually pleasing, so try not to put the bed on an angle where when you walk into the door, you see the foot of the bed rather than the bed and the bedhead, which ideally should be opposite the door . However, you also need to take into account the other items that need to go into the room, which are bedside tables, perhaps a tallboy, and an armchair. Play with your layout and see what works best visually and functionally. Now that we have our bed size and position, we need to work out whether or not we’re going to use a bedhead or a bed frame. If you have a very large room and would like to use a bed frame, that will work well in. However, if the room is small or medium size, this too can have the feeling of the bed being too big and swallowing the room. I would rarely style a master bedroom without a bedhead as they are a great way to add luxury and warmth to the bedroom. When choosing a bedhead, we then need to take into account the look that we’re going for in the bedroom. Are you going for hotel luxe, Hamptons, boho chic, or more of a contemporary Scandi feel? This will determine what sort of bedhead you will choose. My preference is for upholstered bedheads because they add warmth, texture, and softness to the room. However, in some cases, for example, if you’re going for a Boho feel or even a Hamptons, a timber bedhead or a cane bedhead can look stunning. Once you’ve chosen the bedhead, you then need to consider the colour palette in choosing the tone of the bedhead.. My advice is to keep it quite neutral. If you keep the bedhead neutral, you can always update your bed linen to the seasons and to your taste that may change over time. Now, we have our bed and our bedhead. What to next? The best way to style a room is once you have determined the focal point, you then choose the big-ticket items. The big-ticket items after the bed and the bedhead are the bedside tables and lamps. Again, we need to consider the colour palette and style. For example, if you’re going for a Hamptons bedroom, by now, you will probably have selected a soft upholstered fairly neutral bedhead. Beside this, you might go for some white or black timber bedside tables. When choosing bedside tables, I apply the same rule as the bed. If you can go wider and bigger, do so, but please think about the size of the room. The bedside tables need to be in proportion with the size of the bed and the scope of the room. Next, we need to choose lamps. When choosing lamps, consider your colour palette. You may want something very neutral such as white or glass with a neutral shade, or you may want to bring in a little bit more colour. Now you can start to get into the fun bits to pull the room together and start layering up with our soft furnishings, artwork, and décor. By now you will have your colour palette, so you need to choose an artwork that is in line with your style and palette. Also, keep in mind the size of the bedroom and the size of the wall, and keep the artwork in proportion. 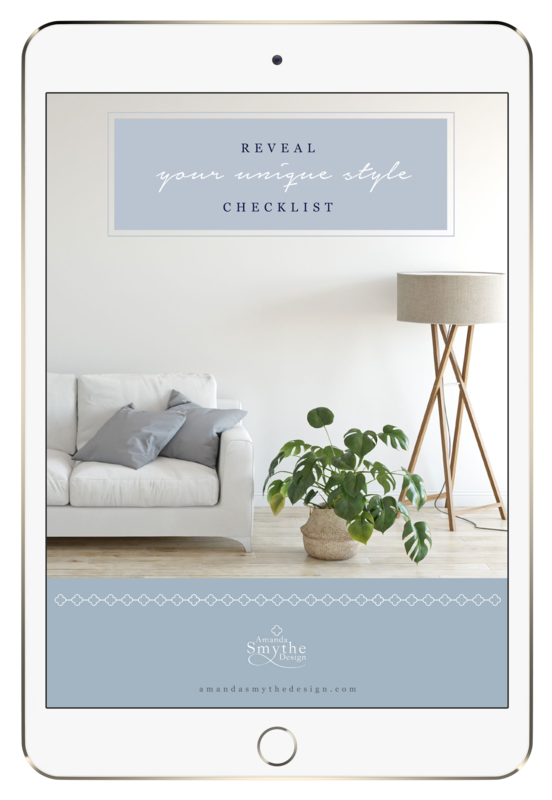 Once you’ve chosen your artwork, this will determine the colour of your soft furnishings. It’s always a classic, sophisticated, and fresh look to keep most of your bedding white or neutral and bringing colour with your cushions and throw. As a general rule and to make a bed look plush and inviting, I generally like to use four pillows, two European pillows, a couple of cushions, and maybe a lumbar style cushion at the front. I will then team it with a throw, or to add even more layers and texture, a quilt and a throw. This has the effect of making the bed look very high-end, plush, inviting, and giving it that hotel feel. Now that we have all our essentials in the bedroom, we need to look around and decide if there’s room for any extra pieces such as an ottoman at the end of the bed, an armchair, or a console, or if you are lucky enough to have a master suite, you may even have room for a sofa or a couple of armchairs and a small table. Again, when choosing these pieces, please keep in mind the style of the space and your colours. If you’re going for the Hamptons look, again, you’ll be looking at upholstered pieces. Whereas if you’re going for more of a coastal look, perhaps you would incorporate a timber bench seat at the end of the bed. If you do have a TV in your bedroom, you’ll need to think about a way to incorporate this so that it is visually pleasing. Perhaps, you can have it wall hung or place it on a nice sideboard opposite the bed. The last pieces to think about are flooring and window treatments. For smaller windows, I favour plantation shutters, which give a very crisp, fresh feel, and for larger windows, a full length curtain gives a dreamy, inviting effect where you can use duo curtains, one shear for daytime, for privacy, and then a blackout for night time. My preference is for carpet in bedrooms to provide warmth both in feel and under foot, and if you have floorboards, you will definitely want to add a rug. A nice wide rug placed about halfway up the bed, depending on what style you’ve chosen, either something very textual or plush and soft, will again add warmth to the room. Your room is now a beautiful, sumptuous sanctuary that you look forward to retiring to at the end of the day.